View More In Carpet Steamer Accessories. 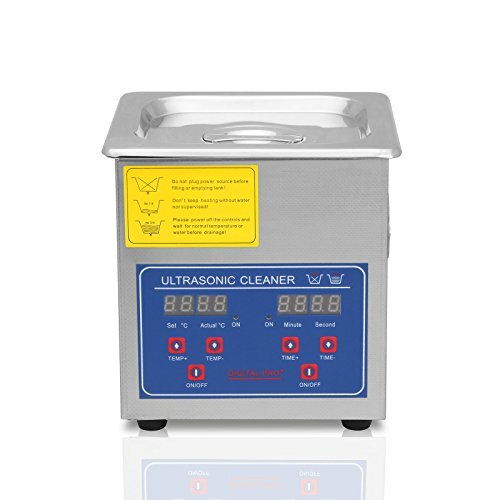 The ultrasonic cleaner is a microprocessor-controlled device that uses ultrasonic or high frequency sound waves to clean jewelry and other delicate items.Ultrasonic cleaning is based on the cavitation effect caused by high frequency ultrasonic wave vibration signals in fluid. Microscopic bubbles that expand and rapidly collapse cause cavitation, which creates an effective cleaning action on the surface of object being cleaned. Additionally, the bubbles are small enough to penetrate even microscopic crevices, cleaning them thoroughly and consistently. If you have any questions about this product by FoodKing, contact us by completing and submitting the form below. If you are looking for a specif part number, please include it with your message.